Web Hosting Service Providers, Game Hosting Providers, Internet Service Providers, and freelancers. Monthly and Owned options starting at $12.95 for monthly and $250 owned. 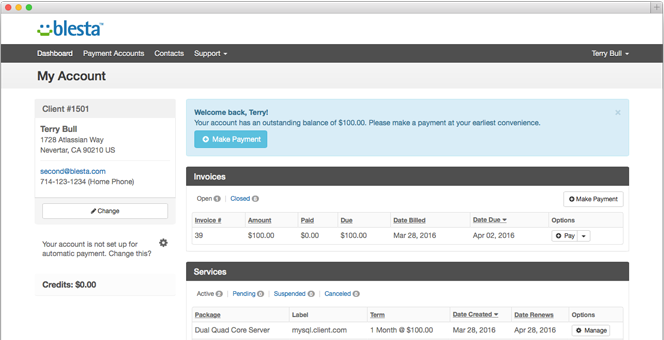 Blesta is client management, billing, and support software for hosting providers, freelancers, and other recurring service industries. Considered a billing platform for hosting providers, Blesta is open, well-written, and developer friendly. Pros: I am curruently using blesta for my needs and the longer i use the more amazing it gets the best part of blesta is its open source availability you can easily modified the files according to your needs making it an awesome product.